What will you be doing next week? Keen to count birds with your children, students or those youngsters in your care? The annual Aussie Backyard Bird Count is a great way to connect with the birds in your backyard no matter where your backyard happens to be — a suburban backyard, a local park, a patch of forest, down by the beach, or the main street of town. You can count as many times as you like over the week, BUT remember – each count is completed over a 20-minute period. The data collected assists BirdLife Australia in understanding more about the birds that live where people live. You can do it in your backyard, your local park or on your verandah. The Aussie Backyard Bird count just wants to know how birds are fairing in your area of Australia – and hopefully increase awareness of how important having trees, shrubs and flowers are for their existence. We love the birds that visit our backyard even if they regularly have a heated discussion with our chooks. Teachers & parents – link this in with numeracy!! Counting one to one correspondence, counting by twos or other groups. Creating graphs about the different birds seen. Adding up the time spent outside counting. How can we make our natural spaces more native bird friendly? Which Australian birds are your favourites? Find out more about these birds and the types of trees they like to eat from and live in. Learn about the life cycle, migration paths and population of your favourite bird. Evaluate the effectiveness of the Aussie Backyard survey – can you design something different/better or something to add to its value? Molly is a little girl with a great imagination. She lives in the red dirt of the Australian outback with her mum, a cat, a dog and three chooks but nothing is stopping her from dancing a jig with a pirate, steering a pirate ship or fighting Captain Chicken! Lorraine Teece has brought this little girls vivid imagination to life through action, adventure and fun filled description of life aboard a pirate ship. Teamed together with Paul Seden’s colourful and movement filled illustrations, Molly the pirate is a great book for young readers. Children will be inspired to use their own imagination after they have read this book – noticing that sometimes those every day boring looking objects can be turned into something a lot more fun. A clothes basket could turn into a pirate ship. A washing line into a sail . Many children lack these skills of imagination as they have so many screens and toys to amuse them. Molly the Pirate shows us that with a little bit of creativity we can make any imaginary world come to life! Perhaps you’ll start to look at the washing basket a little bit differently next time you take it out to hang on the line…. So what else can you do? CREATE: Encourage imagination!! Instead of buying your children more toys take them outside to a park or natural setting and let them play and imagine up worlds. INVESTIGATE: Take a look at your clothes line – who invented this and why? Why should we dry our clothes on the clothes line instead of the dryer? LEARN: Do you have backyard chooks? Where do your eggs come from? Investigate the best types of eggs to buy if you can’t have chooks of your own. RESEARCH: Where is the red dirt of Australia? Investigate which towns live on red dirt and why it is red. WONDER: Did chickens ever travel on pirate ships? Find out more about pirates and why they existed and how they still exist now. We have read Possum Magic by Mem Fox many many times but at the moment it is taking on a little bit more meaning. We have a resident possum and her baby living in our cubby house. Even though this may sound cute, the reasons they are there are heartbreaking. 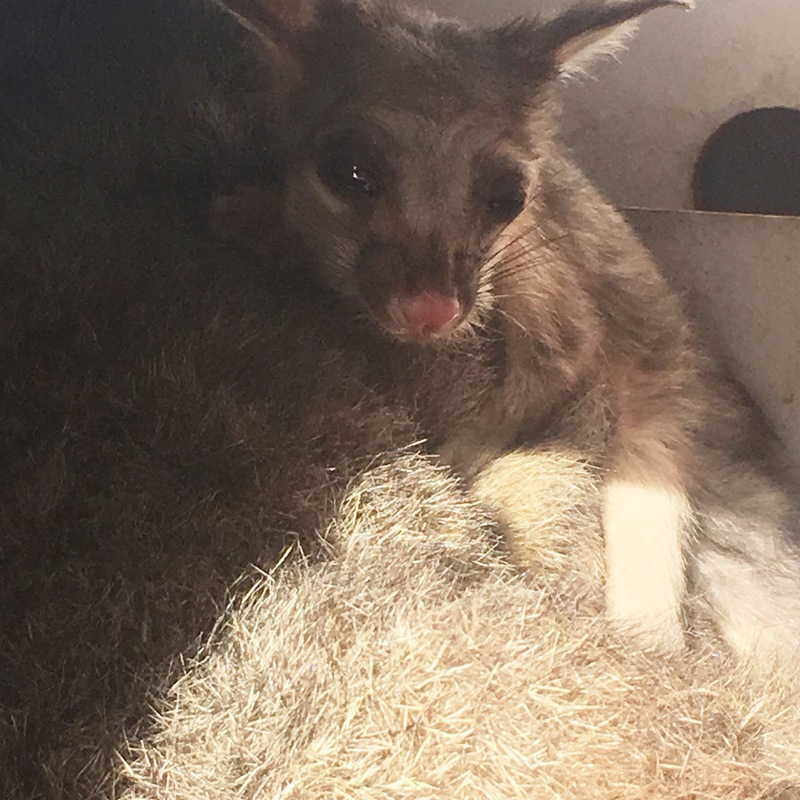 – The mother has huge gashes on her body either from a fellow possum fighting for a tree or from a cat – and there are way too many cats who roam our neighbourhood at night. – They have not been able to find a new tree due to the many trees that have been cut down in our area due to recent development. – Our chickens are not very welcoming pets and they did not like the possum and her baby living in their coop. We tried to build a possum box but she just didn’t move to it. We placed it at the right height, put fruit, old fur and poo in it but she just found the pretend oven in the cubby house more inviting. We hope that her mother has some invisibility tips for young hush as I am just not sure how well they will go with so many cats around. Australia – we need to take more ownership of these so called pets. If you have a cat please lock it up at night, place a bell and collar around it’s neck (even if it is chipped) and provide stimulation for it at home. Check out the PETA website – they are against cruelty to animals and even they suggest keeping your cat indoors – that says a lot to me. I’m drafting up several letters to send to councillors and I am going to be pushing this issue. If they can rid the national park near us of foxes, surely they can bring in tougher laws for cats. Have you ever wanted to be a biologist? Have you ever wondered how they count all those animals in the wild? Counting animals is great fun – and predicting the whole amount of animals in a pride, nest or swarm isn’t easy work when they don’t sit still for too long. Animals in my garden by Bronwyn Houston is a great start for those budding scientists – and they only need to be able to count to ten! The animals in this garden are all Australian animals and many of these animals we actually do see in our garden – we haven’t seen a snake yet but I’m sure they are around from time to time. We loved counting the animals on each page and talking about the different places they were in the garden and the activity they were up to. As a board book published by Magabala Books this is a colourful story for younger readers as not only are they listening to words, they are also learning about counting and Australian animals. We also loved comparing this book to the original story by Bronwyn Houston – Counting Aussie animals in my backyard. By comparing the two books we were able to look at how the animals were placed differently, discuss why there were different adjectives and verbs and also wonder about which book would suit different readers. Browyn Houston’s illustrations are detailed with texture, patterns and bright colours – just looking at them alone is a great joy! Animals in my Garden is a wonderful addition to any little readers library! Create your own version of Animals in my garden by going outside and finding different animals that reside on your balcony, backyard or nearby park! By helping your child explore the local environment you are showing them that they are not the only living thing around. When we realise that other living things also live near us we should be more aware of how everything we do impacts others. When you create your own book you are not only helping your child to learn how to count but also count animals that are moving around in front of them. It doesn’t always have to be animals – insects are abundant in any open space so see what you can find! Have a go at creating your own illustrations too using the techniques Bronwyn Houston has used. 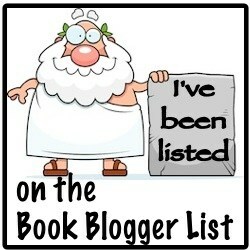 Share your new book out loud to others – by creating something that others apart from the creator sees gives it more meaning and may inspire more creations! Imagine a garden once loved and tended to but now falling into a state of disarray. Imagine a neighbourhood which has changed from large houses to apartments. Imagine a neighbourhood change from a mono culture to a multicultured place. Amelia Ellicott’s garden covers many different issues that come up in our society. Multiculturalism, racism, loneliness, friendship, buying local and sense of community. Amelia Ellicott has lived in the same street all her life but now she is getting old and cannot care for the garden she once loved. She detests the high rises that surround her house and the people within – who she thinks do not hold values similiar to her. She wishes to show her baby chicks to others but has no one. Meanwhile in the high rise, people look down longingly at the vegetable patches and baby chicks. But after a storm things change within this little community and within the heart of Amelia. She allows the people from the apartment to help her bring her garden back to it’s former glory – but with a lot more warmth. 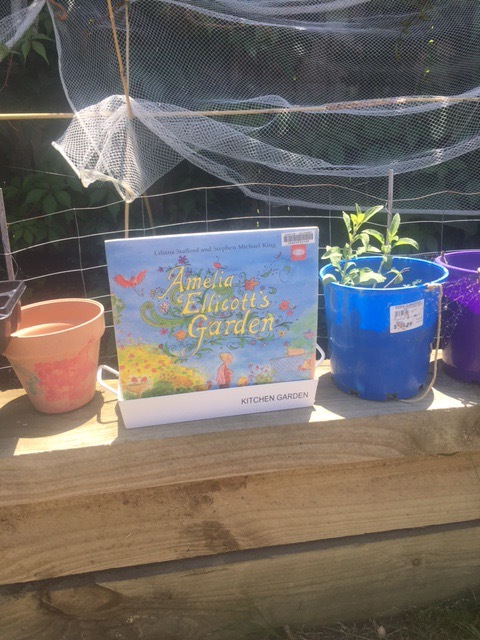 Amelia Ellicott’s Garden is a heart-warming read for anyone and perhaps it will inspire you to say hello to your neighbour? Share some tomatoes with the person next door or maybe join a community garden? I love Stephen Michael King’s illustrations in all of the book’s he has illustrated and this one is no exception. What is community? This is a great philosophical discussion to be had with children as we all perceive community to be different. Look into different types of community, the roles we play – and the importance of each role. Do we all need to play an equal role to be a member of a community? Investigate characters: How do all the different characters feel throughout the story? Compare the different background stories they all have and how this contributes to how they feel towards their community. Could this story be written from another characters perspective? How might they be feeling towards Amelia? Have a BBQ with your neighbours! We are heading to one this weekend and I can’t wait to have a longer than 10 minute chat with them all!